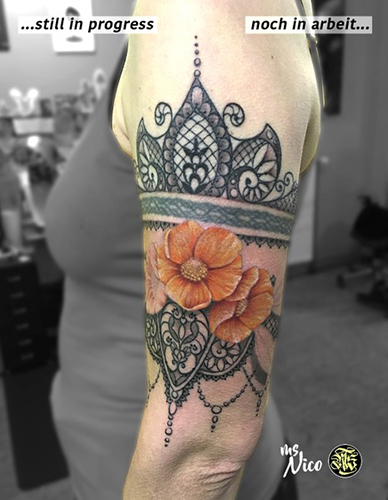 Unusual Mixed-Style-Tattoo by miss Nico incorporating delicate Fineline-lace and colorrealistic flowers. This tattoo is still in progress. We’ll keep you posted with the updates. Send us your requests for the AllStyle-Family.